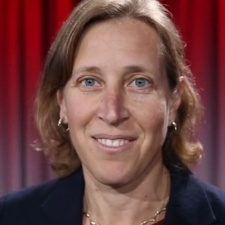 YouTube CEO Susan Wojcicki has admitted that the company did a poor job with last year's YouTube Rewind. Wojcicki wrote in a blog post that her kids described the video as "cringy". YouTube Rewind 2018 was criticised by many in the community for not fully representing the YouTube culture of the year, as well as ignoring big events that happened for YouTubers. After it was posted in December, the video received more than 15 million dislikes, making it the most disliked YouTube video of all time. It even sparked a parody Rewind made by PewDiePie, which in contrast, has become one of the most liked videos on YouTube. “We hear you that it didn’t accurately show the year’s key moments, nor did it reflect the YouTube you know. We’ll do better to tell our story in 2019.” Wojcicki wrote in the blog post. The video showed many popular creators hanging out and participating in sketches. The video, however, skipped many other popular moments. These include events like the boxing match between KSI and Logan Paul, and PewDiePie’s on-going subscriber battle with channel T-Series. Back in December, YouTube acknowledged that it didn’t do well with the rewind video, but it's only now that Wojcicki is directly acknowledging it as a mess up for the platform. She promises that YouTube will hopefully have something much better to offer by the end of 2019.